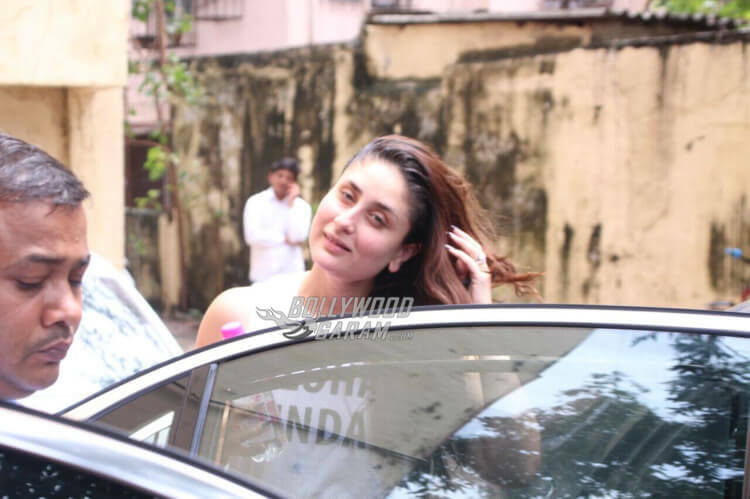 Birthday girl Kareena Kapoor Khan seems to be on a busy schedule, starting the day by hitting the gym soon after her return from a press event. 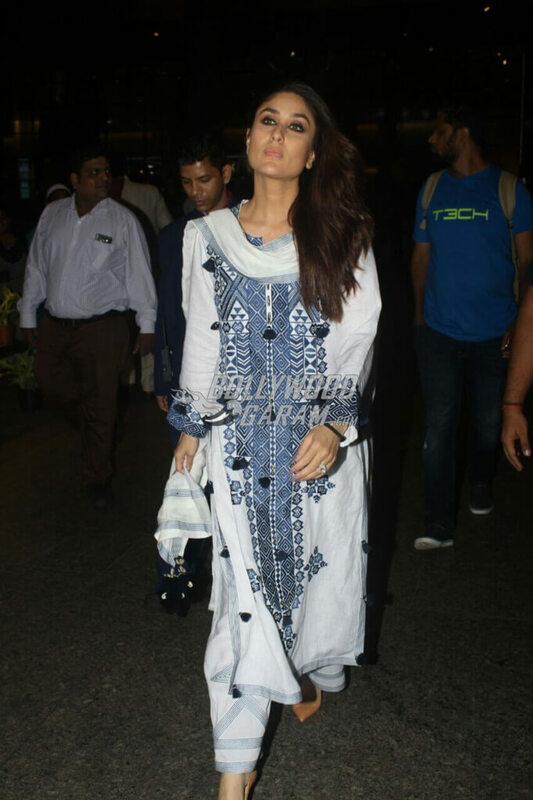 The wife of Bollywood’s Nawab and a leading actress, Kareena Kapoor Khan likes to be fit and healthy on her birthday. She was snapped hitting the gym in a graphic sleeveless white tee, comfy calf-length black pants and a wide smile as she posed for the shutterbugs while getting out of her car. 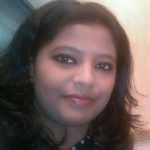 The Jab We Met actress has been busy with her brand associations and travel schedules as much as with her shoot for Veere Di Wedding, her comeback film after her maternity break. 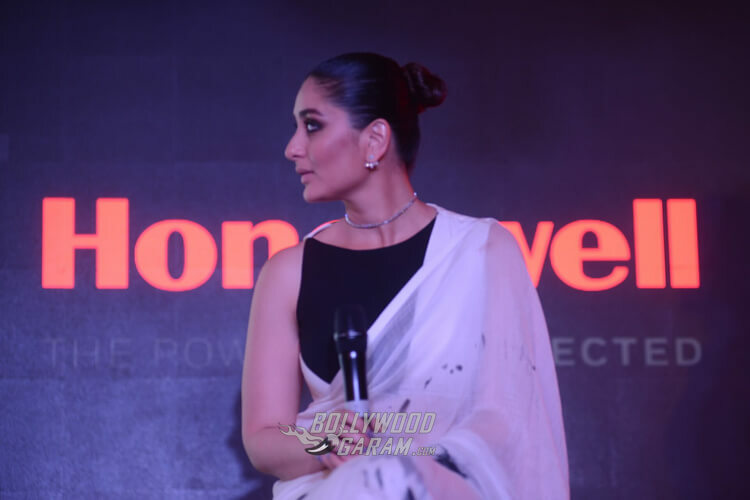 The Bodyguard actress is also the Honeywell Air Purifier Ambassador now and graced the launch event in Delhi for the new product variants looking elegant and beautiful in a black and white printed sari, a tightly tied bun, fine silver jewelry and smoky accentuated eye make-up, a day prior to her birthday. 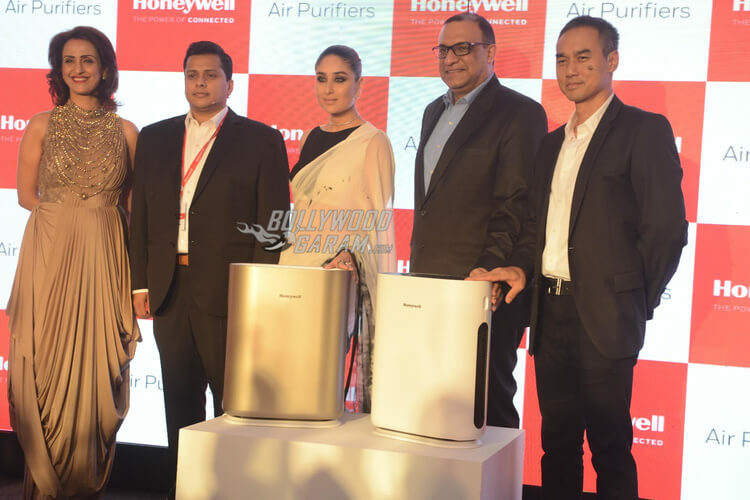 Kareena was snapped posing with the range of air purifiers to take forward the company’s initiative to raise awareness about the air pollution and the need for air purification indoors. 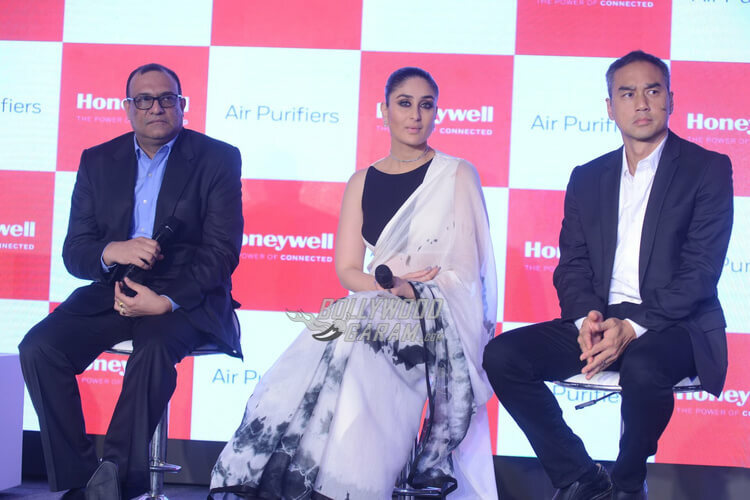 She was further seen interacting with the media at the event talking about the marketing campaign of the company that is based on generating public awareness about the increasing health hazards of indoor air pollution, while introducing two new varieties of the Honeywell air purifiers for the Indian households. 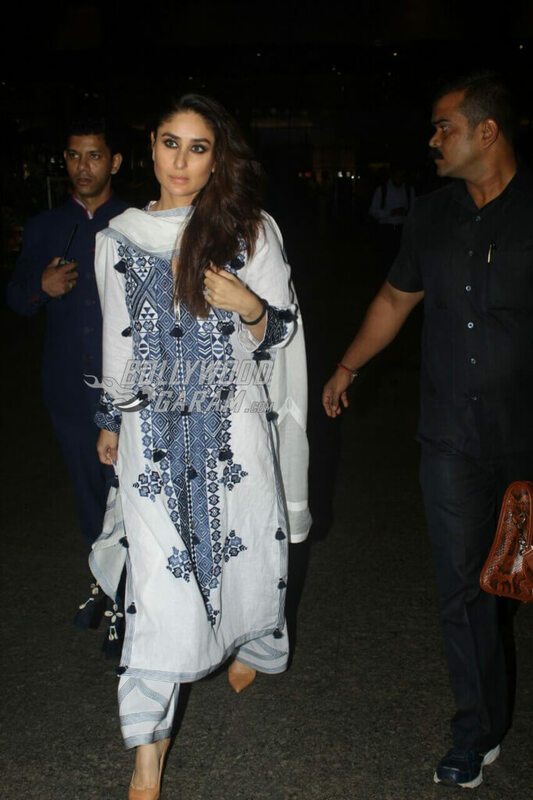 The new mother and one of Bollywood’s highest paid actresses, Kareena was also photographed donning the traditional Indian ethnic avatar while on her travel schedule, presumably returning from the Honeywell air purifier launch event in Delhi on September 21, 2017 morning. 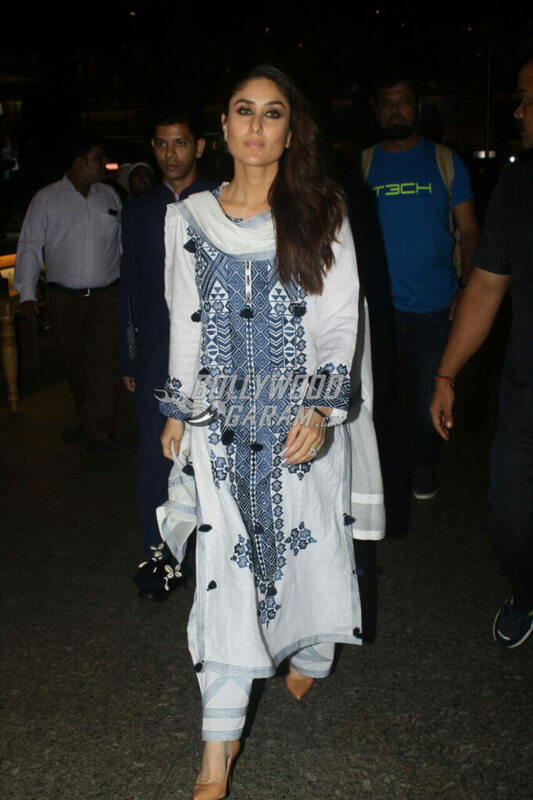 The 3 Idiots actress was seen wearing a white and blue printed full sleeve salwaar kameez and dupatta with camel-coloured pumps walking in style at Mumbai airport. 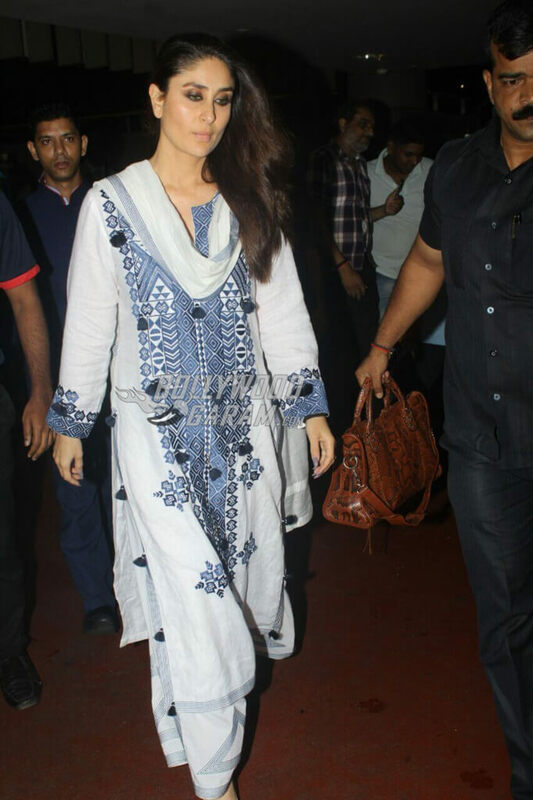 Seems like, birthday girl Kareena is on a busy schedule and is making an active comeback as a famed figure in the entertainment industry with her brand endorsements, upcoming films and her travel schedule whether alone or with her son Taimur Ali Khan, who, though being an infant, already has his own list of fans and followers. Kareena started filming for her upcoming film, Veere Di Wedding this month where she will be starring alongside Sonam Kapoor and Swara Bhaskar, that is being helmed by Shashanka Ghosh and will hit the theatres in December 2017. Happy birthday to the graceful beauty and the quintessential ‘Poo’ of Bollywood, Kareena Kapoor Khan! 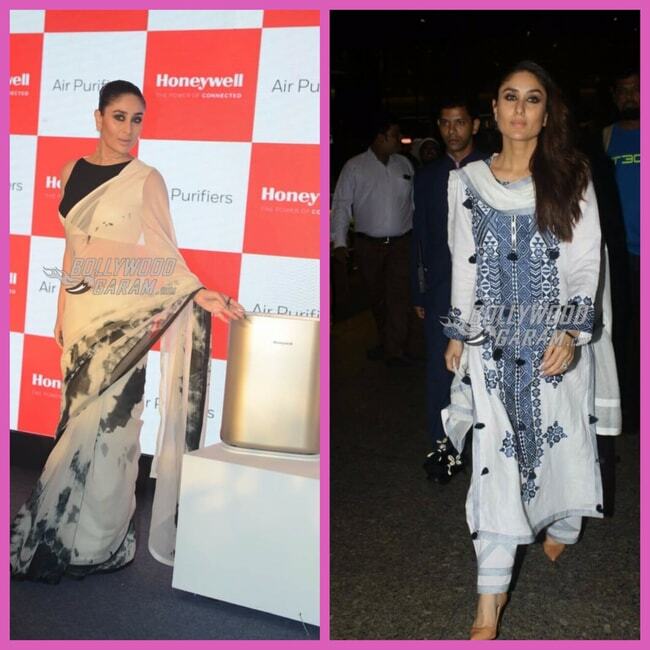 Exclusive photos of Kareena Kapoor Khan at the gym, launch event and at airport!